Looking for an experienced mover who understands your needs? Look no further than the expert certified ProMovers at Randall's. We will expertly pack and move your fine china, glassware, and art work. Call your Promover, Randall Moving & Storage at 703-620-0155 for a moving estimate to or from Leesburg and Ashburn Virginia for all your moving or storage needs and get a licensed and insured moving company with over 30 years experience from Randall Moving & Storage. 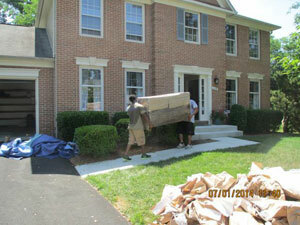 Randall Moving & Storage works with home owners and businesses in Leesburg and Ashburn Virginia. We specialize in both local and long-distance moves. We provide full-service Storage Services for your short- or long-term storage needs. Store your belongings with confidence.